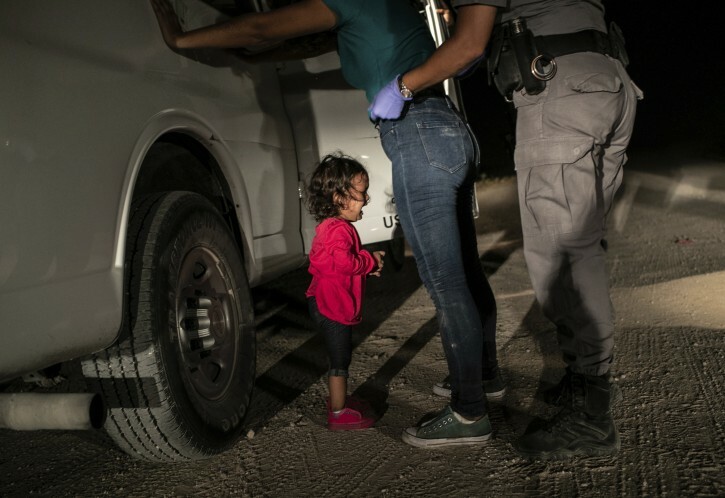 Amsterdam – A photograph of a Honduran toddler crying as a U.S. Border Patrol officer pats down the child’s mother in Texas was named as the prestigious World Press Photo of the Year at a ceremony Thursday evening. Photos of the migrant crisis at the U.S.-Mexico border also won a new award in this year’s contest — World Press Photo Story of the Year. Pieter Ten Hoopen of Agence Vu/Civilian Act, was honored for a series of pictures depicting migrants in a caravan heading toward the border.